Good morning! We have reached day 3 of our water week already! This activity was geared toward the toddlers in my group. They love water. They love baby dolls. They love bubbles. 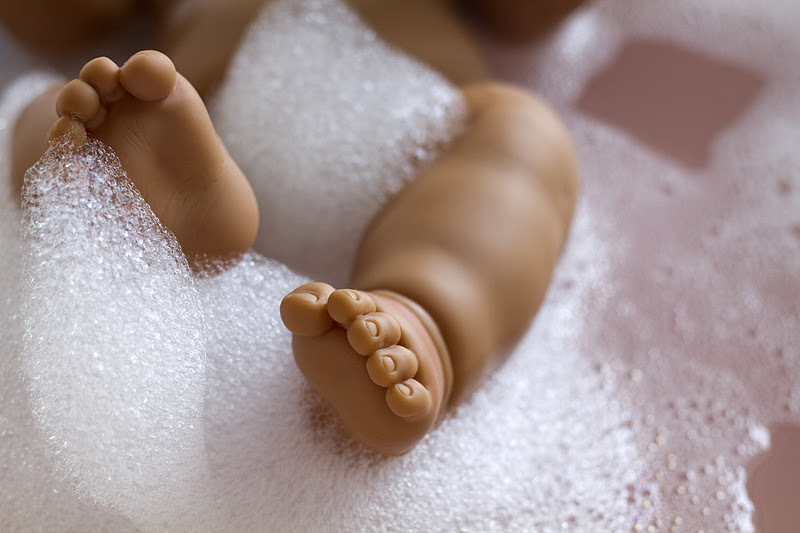 So what could be better than a morning of bathing their dollies? 6. Food coloring…we used it to make our bath pink. I just adds to the whole sensory experience! 7. 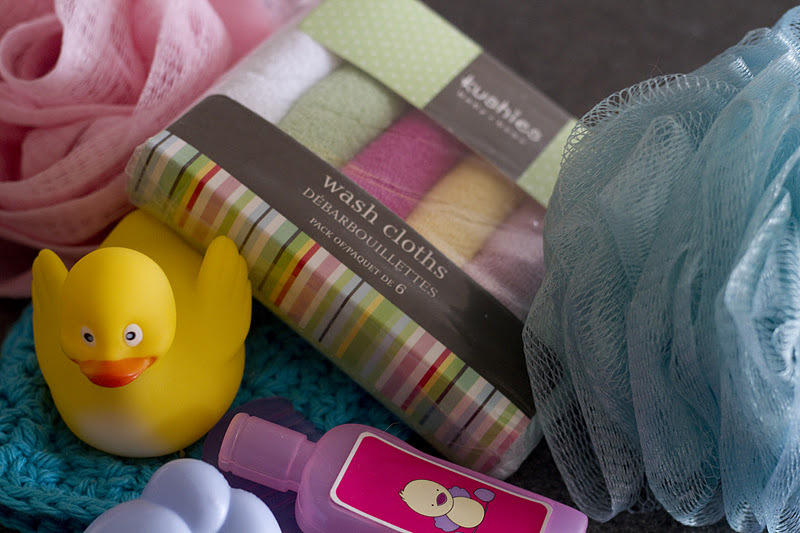 A few rubber ducks if you have them, because what’s a bath without a rubber duck? Now…you might want to remove the socks for playtime, as the floor WILL get wet! 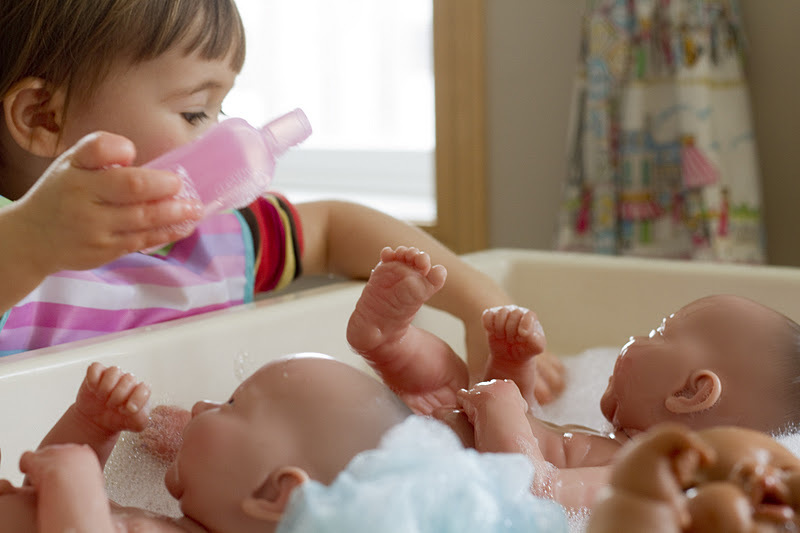 Water play is so much more fun if you don’t have to worry about wet socks, wouldn’t you agree? And everyone will be so squeaky clean when you’re all finished! And some really sweet bubbly toes! the pictures alone were enough to brighten my day. I love, love, love, that my beautiful girl gets to spend her day learning and playing with you. You are truly a gift! Awww…Sam, I'm the lucky one! Those dolls are adorable- can you please tell me who makes them? I’ve had a hard time finding dolls that are actually cute but these ones appear to be adorable. Thanks! Btw, I just found your blog and I’m LOVING it. Inspiring. Thank you! I don’t have the boxes for those dolls anymore, but in the back of their necks it says “Berenguer” if that helps!! Good luck!